This is a chance of a lifetime to become the next Jovani It Girl! Rissy Roo's will be hosting a Casting Call January 4-5 from 10am-4pm each day. This is the eighth season of this incredible contest and Rissy Roo's first time to be able to give one of our very own local girls a chance to win. 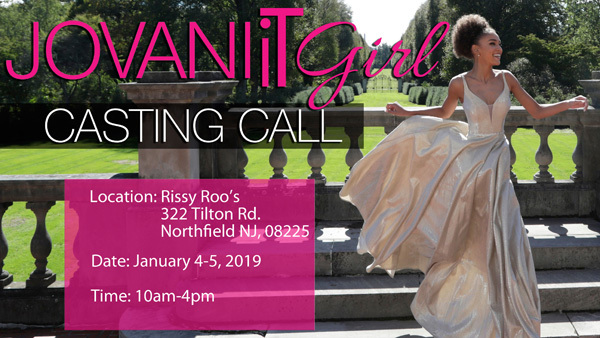 Rissy Roo's invites all girls that are interesting in becoming the next Jovani It Girl to contact us at info@rissyroos.com for an entry form and to schedule an appointment time. 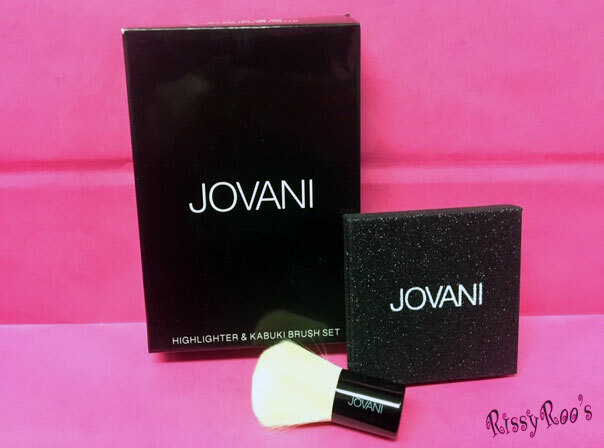 The first 25 girls to schedule appointments or to enter the contest in store, at Rissy Roo's, will receive a FREE Jovani Highlighter & Kabuki Brush Set. Jovani will be selecting 25 contestants for the Spring 2019 edition of the JOVANI It Girl contest. Contestants will go on an all expense paid trip to Atlanta to model for Jovani and be entered for a chance to go to New York this summer to star in a JOVANI video shoot! This year's Jovani It Girl prize package is valued at five thousand dollars! At the Rissy Roo's casting call you will record a short video wearing a Jovani gown and doing a "runway" walk and answering the question "Why do you want to be the next Jovani It Girl?" Get ready for a fun day of modeling! We ask that you follow @rissyroos.com, @jovanifashions, and @jovaniitgirl on Instagram. There will be lots of social media posts, live stories, and opportunities to be featured on @rissyroos and @jovanifashions instagram feeds. Will you be the next Jovani It Girl? Contestants must be between 15 and 27 years of age and must be legal residents of the United States & Canada (“Contestant”). All Contestants who are selected to participate and have not reached the legal age of 18 years as of the date of entry must submit a Parental Consent Form to be eligible. You must follow @RISSYROOS @JOVANIFASHIONS and @JOVANIITGIRL on Instagram. You must tag a photo of yourself using the hashtags #RISSYROOS #JOVANI and #JOVANIITGIRL. Your Instagram profile must be on public. If selected to move on to the second round, you must confirm your attendance at one of the official Jovani casting events in NYC (January 23-25, 2019), Los Angeles (January 23-25, 2019), or Virtual Skype (January 22-25, 2019). Contestants chosen must be available March 31, 2019 to April 4, 2019 and July 14, 2019 to July 18, 2019. Interested? Visit us in store at Rissy Roo's, 322 Tilton Road, Northfield NJ 08225 or Email info@rissyroos.com for more information! This entry was posted in Contests and tagged Jovani, casting call, modeling on December 20, 2018 by Marissa.